The Smurf Hut has all the fun you could want in a bouncy castle and includes a classic character for added fun. 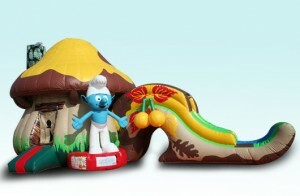 It features an area to bounce and a slide. This is a great party accessory for children’s parties.